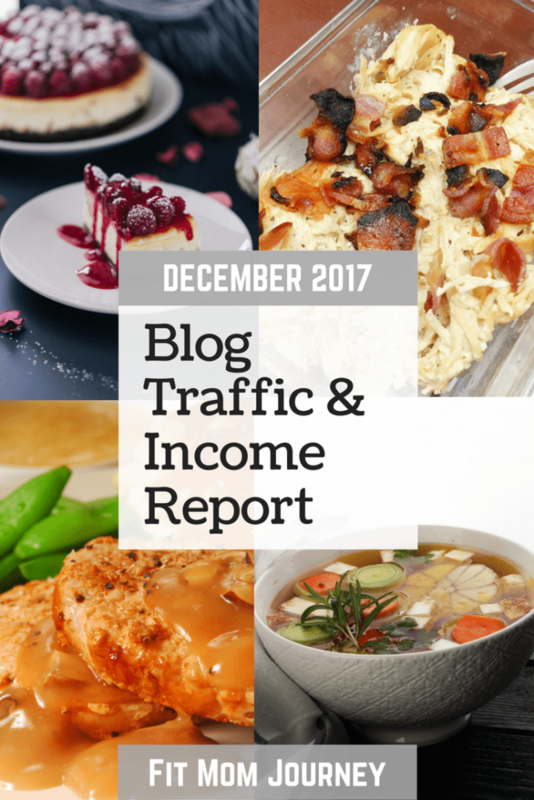 Gretchen here, reporting on Fit Mom Journey’s traffic and income during December 2017. I wanted to start with a little story…. I’ve been thinking about restarting my StitchFix subscription to update my wardrobe a bit. In the process of getting my account reactivated, Google must have realized that I was looking for a closing subscription service. Over the next couple of days, I started seeing advertisements for a couple of new subscription services: ThirdLove and Dia&Co. ThirdLove is a bra subscription service that claims they’re pieces not only fit better and are more comfortable, but they’re cheaper than Victoria’s Secret and hold up better too. Dia&Co is a plus-size clothing subscription box, and even though I’m not usually in plus-sizes, I think my measurements technically put me there. I didn’t end up signing up for either service (except for Stitch Fix), but seeing advertisements for those clothing subscriptions startups got me to thinking. Both of those startups have been in the news lately for raising millions of dollars in funding from investors in record time – especially considering they’re in clothing, not tech. Every day, we hear of startup after startup that is raising millions in funding and experiencing explosive growth. And if I’m being honest? I really love reading about them and watching them grow. And I found myself getting just a little bit jealous. Weird, right? But that’s because I’m an impatient person. I have to continually focus myself on putting in the work, and worrying about the results later. I have to remind myself not to focus on short-term growth, but rather success in the long run. That’s how growth has been here at Fit Mom Journey. It’s hasn’t been fast – I’ve been blogging here for more than 2 years – and there was about 18 months there where all I did was lay foundation for the blog, that I’m just now seeing the results from. For me, blogging has always been a long-term game. A series of singles that add up to many home runs. These reports are the place where I share things like this with you. I try to share what is working, what isn’t, and what I’m in the process of trying. And I really hope that it helps you in some way. So just remember that you can go your own way when growing your blog, business, or non-profit. You can take it slow and steady and be just fine. This is my 4th income report so far. You can check out all of my income reports right here. What’s new: A Very Keto Christmas, Launching 30-Day Program, new affiliates, reporting on old affiliates, and Ad Network frustrations. It's also worth noting, that I record my income as money I've actually received within the month, not earned. So, while I may have earned way more money from all of these affiliates during the month of December, I won't actually receive that money until 30-90 days after it's been earned. It will show up on future income reports. I’ve been testing MiloTree for 6 months across all of my websites to help increase my Facebook, Pinterest, and Instagram followers. Basically, MiloTree is a small, yet easy-to-see pop-up that will rotate between any two of your social profiles: Facebook, Pinterest, or Instagram. I don’t want to scare you away by using the word “pop-up” because it’s become another ugly thing about the internet – this one isn’t ugly or obtrusive. It doesn’t take over the screen, has an easy-to-click close button, and sits at the bottom right hand. Even on mobile, it’s discreet, yet visible. MiloTree is incredibly easy to set up, and best of all it’s free! I currently use the $9/month plan (although I’ve been using it long enough I’m grandfathered in at the $6/month price) but you can start for free and NEVER have to upgrade if you don’t want. You can just continue on growing your followers without paying a dime. The paid version gives you more control as well as analytics, but if your blog is bootstrapped the free version will work just fine. Create your account, pick your plan, then link to your social media accounts. It’s very easy. 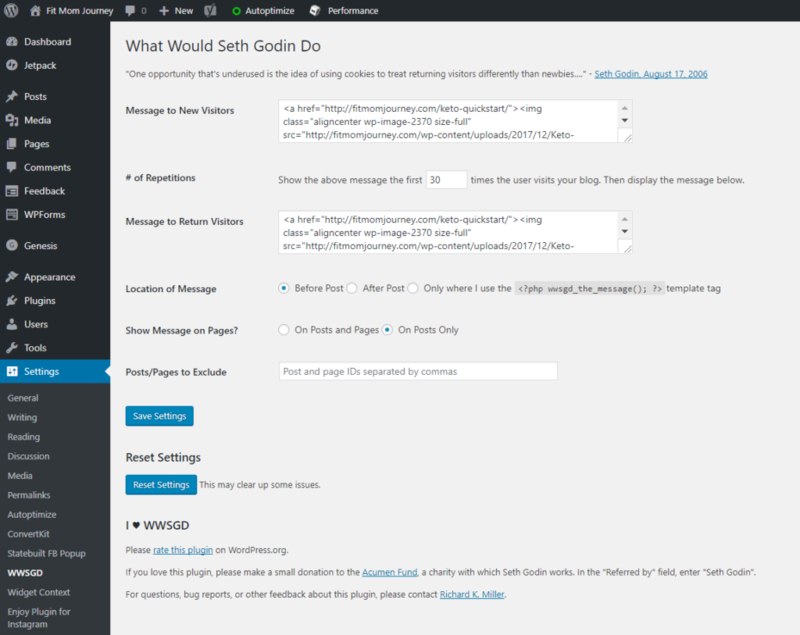 If your blog is on WordPress (like me) you’ll download and install their plugin to make the pop-up start working for you. MiloTree has given very detailed instructions on how to download, install and get your pop-up working. If you happen to be on another platform, the setup page has instructions for those as well. 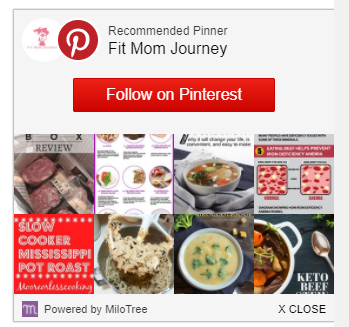 I use MiloTree to grow my Pinterest and Instagram for Fit Mom Journey. This is the graph of my follower growth since the beginning of August 2017 and I’m absolutely thrilled with the growth! They say once you hit a certain number of followers, growth starts to skyrocket, and you can definitely see that here. 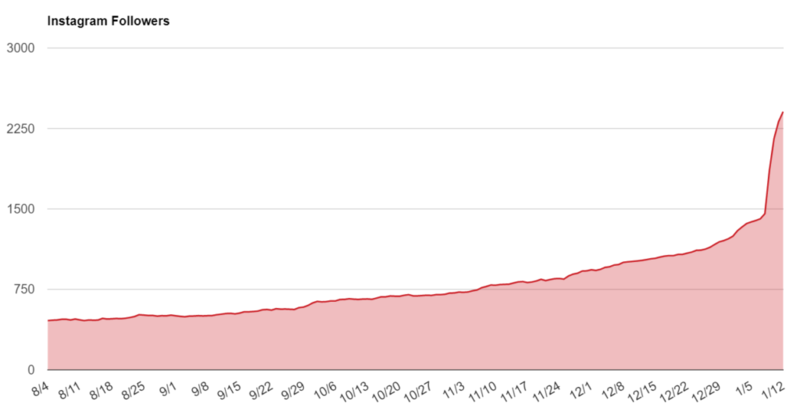 My Pinterest followers have really been growing too! How Does MiloTree Look on Mobile? There has been a lot of concern lately that Google is penalizing websites’ rankings based on their pop-ups. It’s true, Google started figuring in user experience to their search algorithm late in 2016. With MiloTree, you can choose to turn off the pop-up on mobile, but I don’t recommend that option due to the fact that at least 75% of all website traffic now is mobile. Fortunately, MiloTree changed the way their pop-up looked, how it displayed, and how much of the screen it takes up to comply with Google’s algorithm change so as long as you don’t feel the pop-up is harming your user’s experience, neither will Google. If you are trying really hard to grow you Facebook, Instagram, or Pinterest following – or any combination of those, MiloTree can help you out. If you can catch the attention of people reading the content on your website, you can “get your foot in the door” of turning them into loyal social media followers. 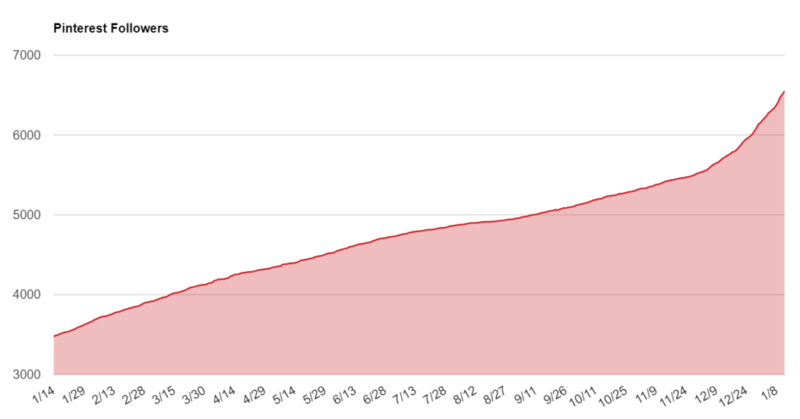 Based on the traffic and income above, I’m sure you can tell that I’m thrilled with the month. Affiliate strategies that I’ve put in place are working. So let’s talk about affiliate strategies for a moment. You MUST have a multi-pronged affiliate strategy. With Perfect Keto, I did just that. 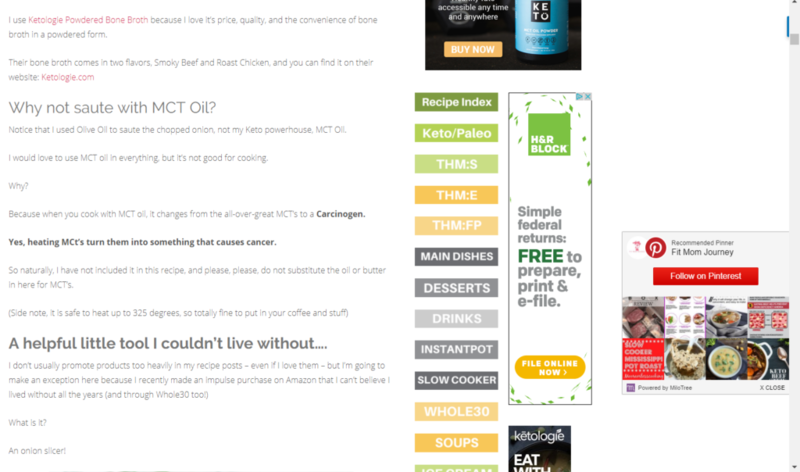 I developed 9 articles related to Keto and Perfect Keto, then interlinked and promoted them all via social media and my email newsletter. 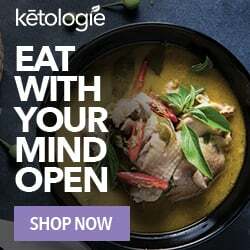 Keto 101: What is a Ketogenic Diet? All told, over the course of a single month, these new articles (all less than 2 months old) produced almost $250 in affiliate revenue. The revenue should only go up, given a couple more months. 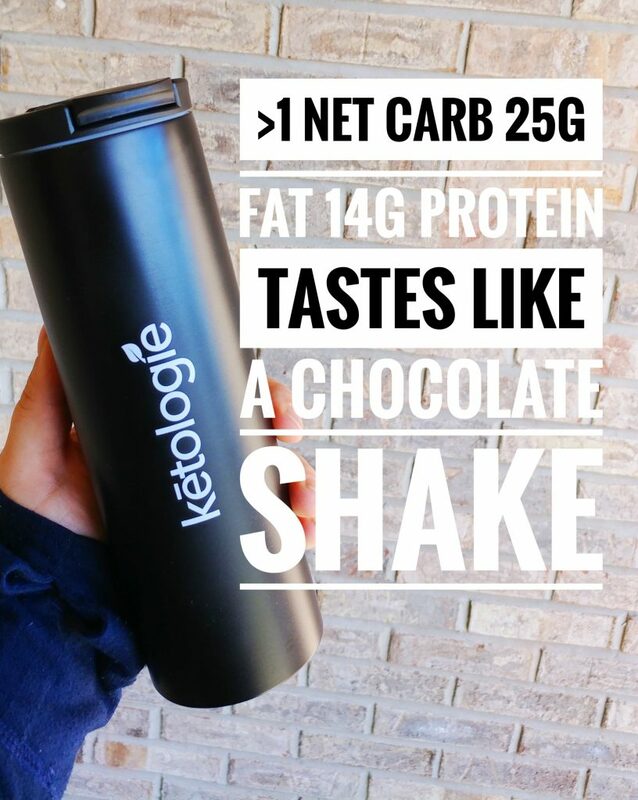 I also replicated the same strategy with Ketologie starting back in October and have seen a consistent $50+ in revenue each month, and it’s very consistently going up as time goes on. 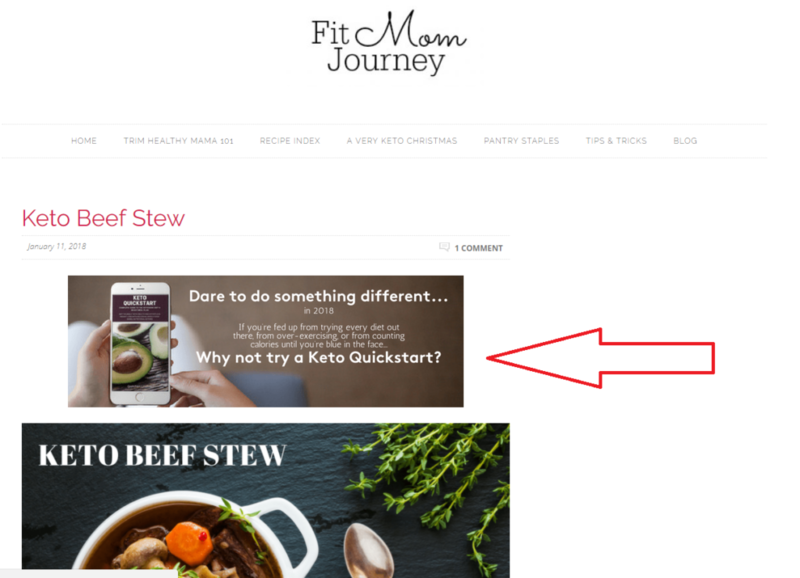 The one thing I’ve done differently with Ketologie is that I’ve incorporated their bone broth into many of my soup recipes, which has help boost clicks, and will eventually boost conversions. I plan on updating you consistently with how my affiliate strategies are panning out, so stay tuned for more! I have so many things to talk about this month, because so much has been happening!! 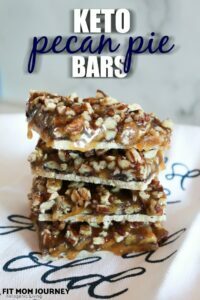 I launched my (cook)ebook, A Very Keto Christmas right after Thanksgiving. This was a completely free download that I worked really hard putting together and it had a complete Christmas menu with recipes and macros in it! It increased the cookbooks’ visibility. First, someone happens to see the link as they’re looking at the website. They don’t think too much about it because they’re looking for something else in the menu. But then, they’re reading the article they were looking for – or something that caught their eye – and they see the WWSGD plugin or an in-article mention and they decide they need to check it out. Or even if they don’t check it out right then, they may see it later in their inbox if they subscribed. Even better, they may see it in their Pinterest feed and decide to check it out. They say that your audience has to see something an average of 7 times before they will take the plunge and buy it – and yes, this applies to “buying” a free download. There is still an element of commitment in entering your name and email into a form even for a free ebook. This plugin is free, easy to use, and helps get whatever you want in front of your audience’s eyes. If you’re looking for a way to get your products or newsletter in front of your audience more visibly, check out WWSGD here. Have an article that your freebie relates to? Link to the freebie in-article a couple of times. 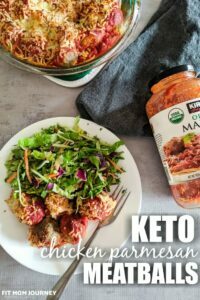 I did this with great results when I launched A Very Keto Christmas! This applies to other things too – internal linking is a strategy you should be implmenting to link to products or other articles. I set a goal of 30 internal links for medium-sized articles for myself and this strategy is working very well for me! Of course, I didn’t want to leave my exisitng subscribers out of the cookbook loop! 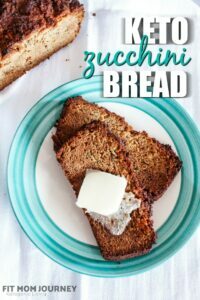 I made sure to email them a direct download link to the cookbook ad received lots of good feedback on it! This is the most fascinating aspect of my marketing plan for A Very Keto Christmas. I actually tested 5 different ebook covers as pins to see which would do the best. 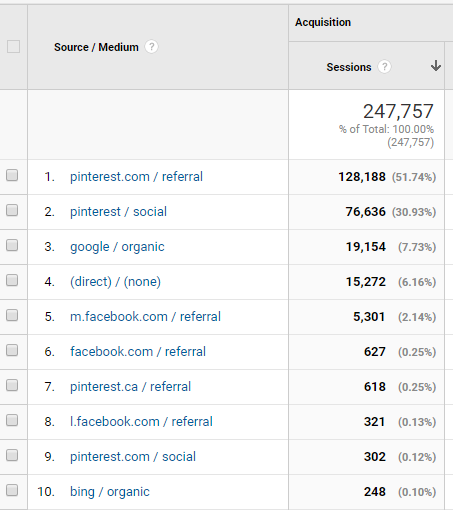 And, the winner had 356 repins in under 30 days! 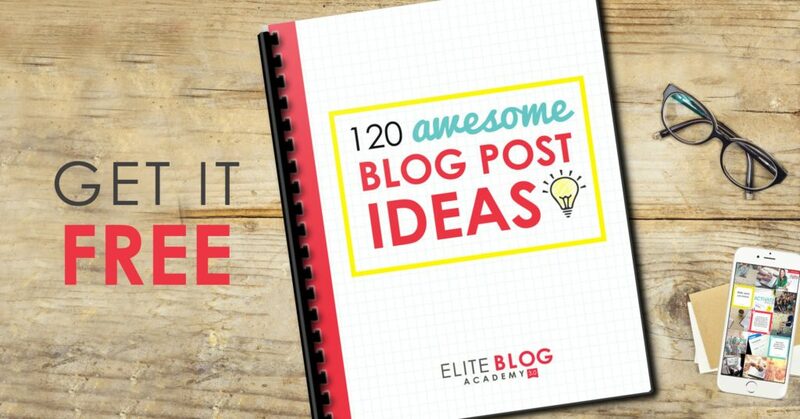 The amazing thing about Pinterest and this strategy is that these pins will continue to pick up traffic and repins all year long because pins never die! All told, A Very Keto Christmas received 856 downloads – pretty good for a 30-day launch, I think! I LAUNCHED MY 30-DAY KETO QUICKSTART! I am so excited to share this news with you I can barely contain it! I worked so hard putting together my keto program, Keto Quickstart, that all together was 111 pages. 55 of those were information about keto, getting started, quick tips, and more. The rest consisted of Weekly Meal Plans (for 30 days), Weekly Shopping Lists, and recipes! This was truly a labor of love, and even though it’s only been live for 2 weeks, it’s already been downloaded more than 1,000 times. 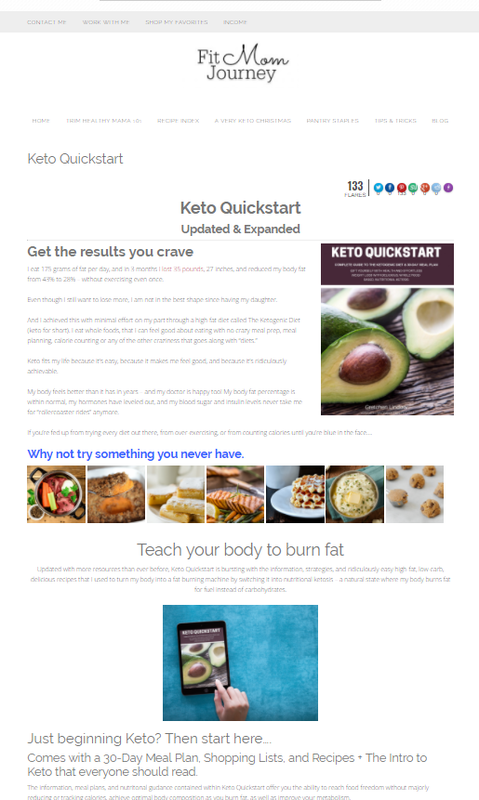 One thing I didn’t anticipate, was how much work it was creating a landing page for Keto Quickstart. It’s a LOT of work! If you’re interested, you can download Keto Quickstart here – it’s free! 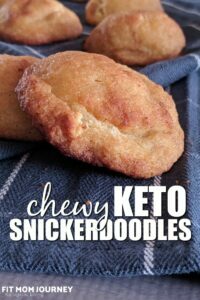 I do have future plans for Keto Quickstart. This is Version 1, which means there are definitely typos – although I tried to catch them all – and It’s pretty plain – although the plan nand information are stellar. I hope to relaunch it in the future, as a paid guide, with beautiful graphic and formatting. Like any project, this will take time and probably some money, so I’ll be sure to update you as I develop this whole project. Back in October, I applied with Monumetric (formerly The Blogger Network). My other website’s ads are run by Monumetric and I love the fact that they completely manage them and I make 3x what I was making before without them. They are also more inclusive of smaller bloggers (you can apply with as few as 30,000 page views each month), making ad management more accessible for everyone. However, it’s now the middle of January, and I have yet to be approved, even though I have north of 500,000 page views in the last 30 days, and I work really hard to generate quality content. I know that some things are out of their hands, but I could be making so much more money with ads right now and it’s really bothering me. Free money is basically being left on the table. So, I made a very hard decision to apply with MediaVine and AdThrive in addition to Monumetric. Both are similar to Monumetric, in that they manage your ads. You make more money and they take a cut. So far, both have been far more responsive and we’re whizzing through the approvals process. Still, it’s painful, and I feel a bit bad that I kind of abandoned Monumetric. Because seriously, there’s tons of money on the table that we’re both missing out on…. Anyone experienced this/have any thoughts on it? I am so lucky to have all of you reading this right now. No matter how much work I put into Fit Mom Journey, it absolutely would not matter if it wasn’t for you! I am so grateful that sometimes I just don’t have the words. I am in awe of how supportive this community is, and so humbled by the fact that I get to do this. It is truly a labor of love, and one that not many people get to do! I’m so grateful for YOU! This was so fascinating and inspiring! Thank you!